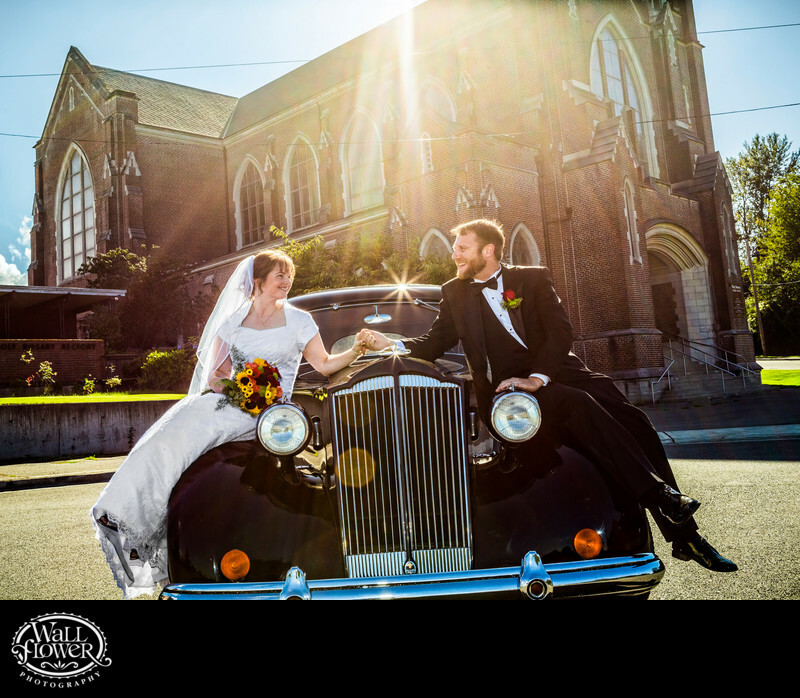 After getting married in Holy Rosary Church in Tacoma, Washington, this bride and groom took a ride in a historic Packard to their wedding reception venue. Before they climbed in, we shot a few portraits of them, including this one of the two sitting on its fenders, holding hands and smiling into each others' eyes. Their church looks impressive in the background, especially with the sun overhead casting flares into the lens. This wedding was featured in the 2014 issue of South Sound Wedding and Event Magazine.